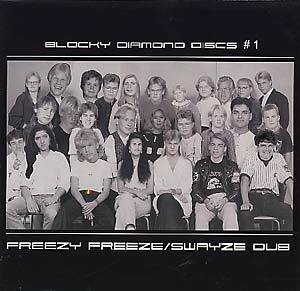 "A new series called Blocky diamond disc. First one by Freezy Feeze (aka Luke Eargoggle) and Swayze with 4 ice cold electro cutz in a down tempo Model 500 style mixed with kinda weird Egyptian lover style vocals. Ultra cool stuff with a strange twist."